I was somehow conned into taking a trip down to Charlotte to visit Jess’ sister and husband for a weekend. Ostensibly, we went down so Jess could make a quilt for Baby M – since quilts can only be made in Charlotte or some nonsense. Still, I’m not really complaining since Charlotte is one of my favorite cities to visit, especially when it comes to eating. I’m fairly certain that my arteries are under more duress now than they were before the trip, but hey, quilts can only be made in Charlotte, right? Ultimately, I view/viewed this trip as a test run for our big trip this summer; it was useful to get a sense of how Baby M travels these days. As I mentioned a few weeks ago, we got here using the US Airways Mastercard companion pass. I monitored airfare from time to time after we bought, we saved a few bucks so I’m happy about that. We had to book a 7:30 PM flight due to scheduling issues I had. The plan was to feed Baby M before we left and then to hopefully “put her to bed” on the plane since she normally sleeps anywhere between 7:30 – 8:30. For the most part, the plan worked out. I had to meet Jess and the baby at the airport, which was super empty on that Friday night. We each were able to check one bag for free (thanks to the newly activated US Airways Mastercard benefit), which made life a lot easier getting on and off the plane. I would like to mention, however, that the baggage claim at Charlotte airport is notoriously slow so we paid for it a bit on the back end. Thanks to the Citi AAdvantage Executive card, we spent our 45 minutes at Boston Logan in the US Airways lounge, which I’ve shown pictures of on this space before. It was completely dead, there weren’t more than 10 people in there; this was great because we didn’t have to feel bad about random yelps of excitement. 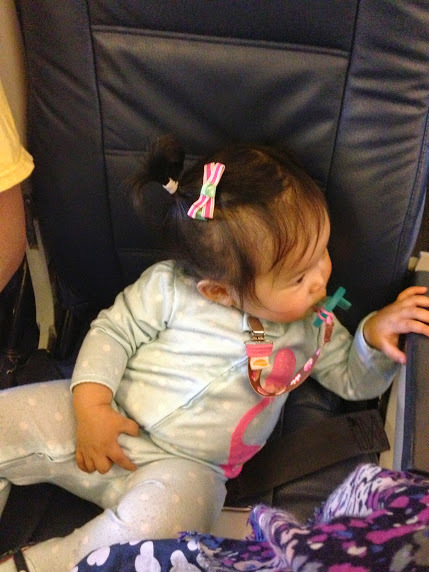 If only the whole flight had been like this…alas…lap infant. 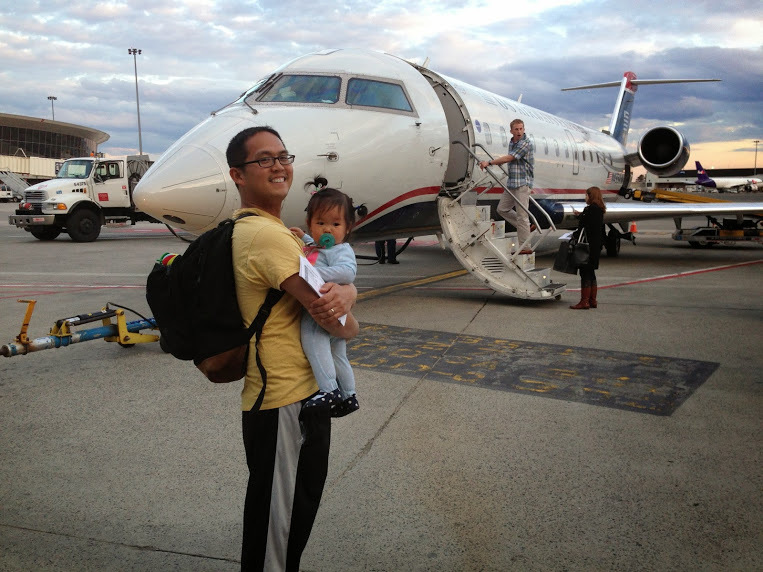 We flew a regional jet to Boston – it was small and cramped. Baby M was super interested in everything and very curious for the first twenty minutes of the flight. She flipped the window shades up and down, flipped through the inflight magazine, chewed on plastic cups, etc. Eventually she got tired. 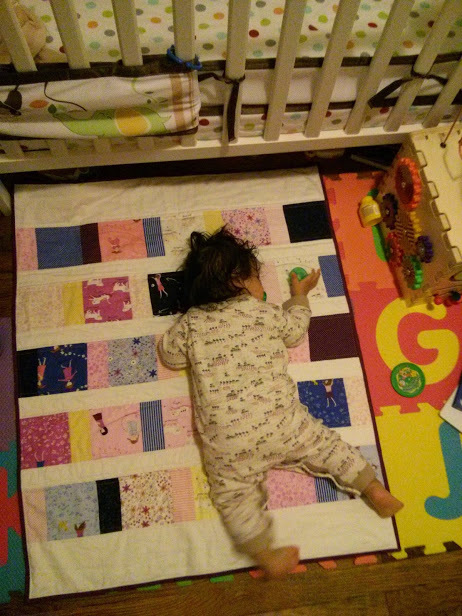 We lay her down across our two laps and read some books to her, we were hoping we could just get her to nod off. That wasn’t happening. 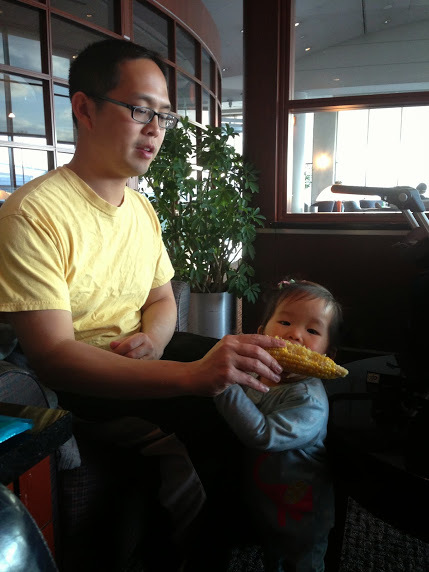 Being tired and all, Baby M eventually started crying, and for the first time in nine flights, I was a bit embarrassed. Her lungs are now pretty developed and like I said, that plane was tiny. At that point Jess went all super-mom, grabbed Baby M, and bounced with her in the aisles until she finally passed out. What followed was a fairly uncomfortable trip for Jess as she had the baby sleeping on her for the last hour of the flight, but at least it was peaceful. All in all, I don’t think she cried for more than five minutes, though it still felt like an eternity. Though there was some fussing on the car ride (which got extended because we stopped for a milkshake because we are great parents), all in all I think Baby M did great. We finally got to Jess’ sister’s house at 11:00 PM, Baby M was down in the pack and play by 11:05 and asleep by 11:10. I think at that point she got a pretty decent night’s rest. Phew! 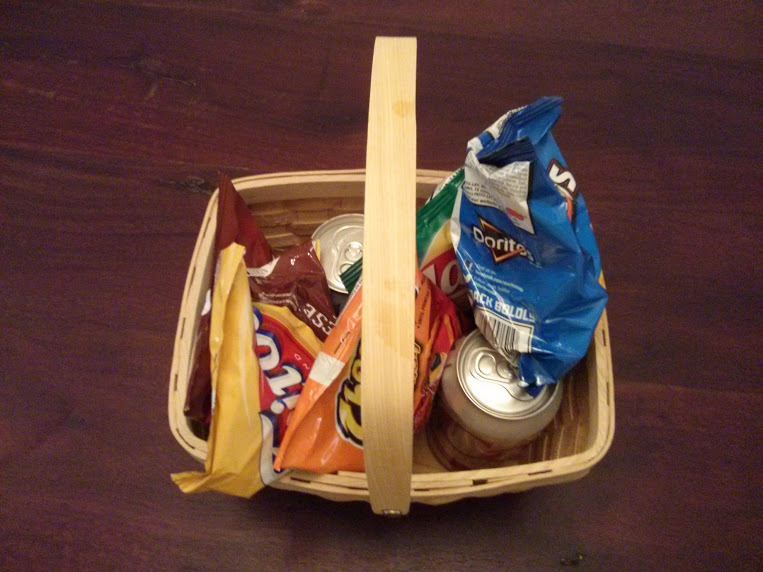 Oh, and our room came complete with this amazing homemade amenity kit. You could learn a thing or two, Ritz-Carlton! For the late night shake, we went to a place called Cookout. Cookout is pretty much cheap fast food, with some great shakes and mix-ins. Oh yea by the way this is about to turn into a food blog so please feel free to tune out if you’re uninterested! Mint Oreo is supposed to be one of the best shakes, though I prefer Mint Chocolate Chip. I also had a Vanilla Heath Bar shake from Cookout on another day. The shakes are super thick, I don’t even bother using a straw. I’d highly recommend them. 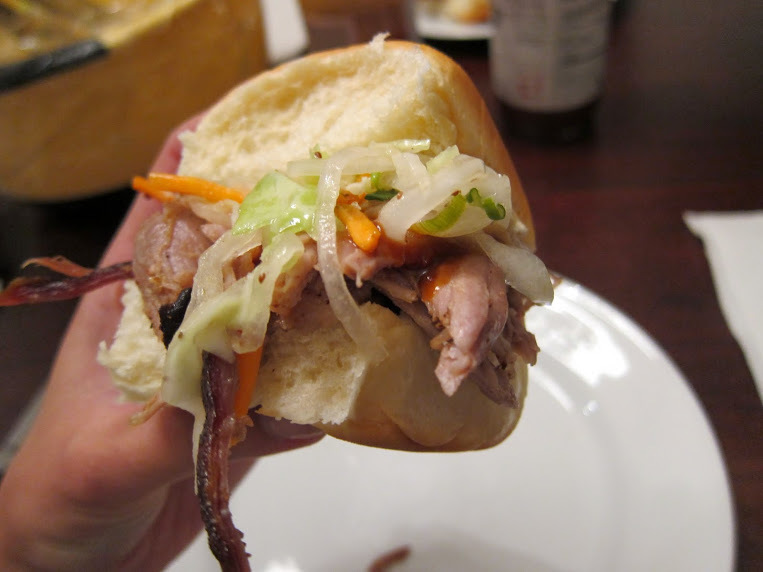 After Baby M went to bed, we had a late dinner – pulled pork cooked by my brother-in-law. He’s from the duuuuurty south so he takes his BBQ pretty seriously: it showed. 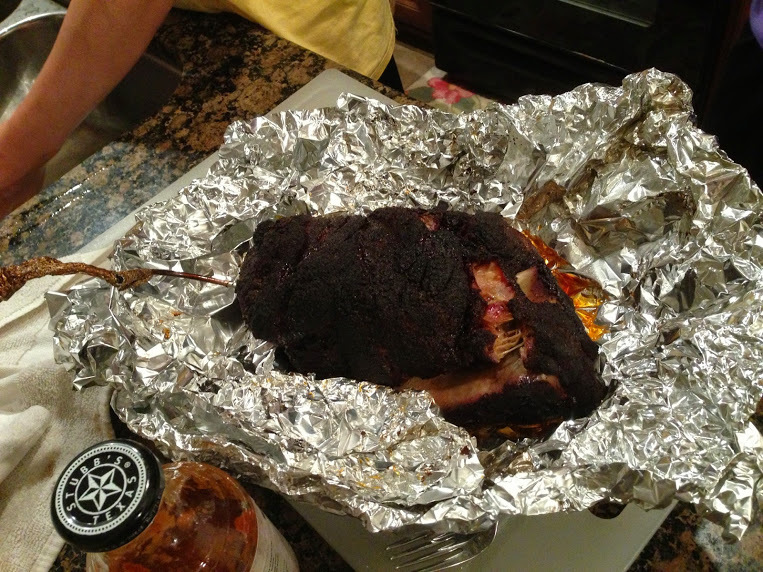 He cooked the pork using some rub he makes and on something called a Green Egg. I’ve only heard of this thing because of him; it’s a gigantic 200 pound ceramic smoker which he uses to great effect. 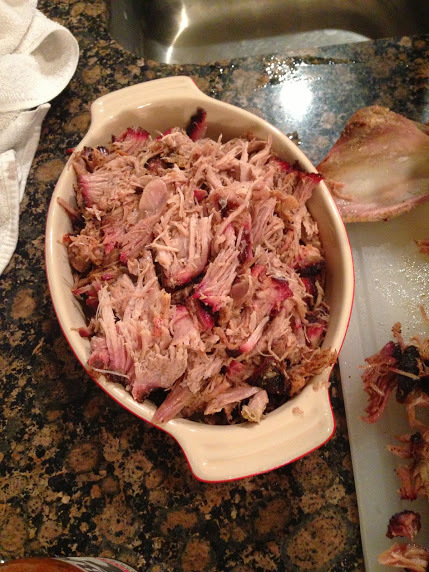 The pulled pork was excellent and quite possibly the best thing I ate all weekend. 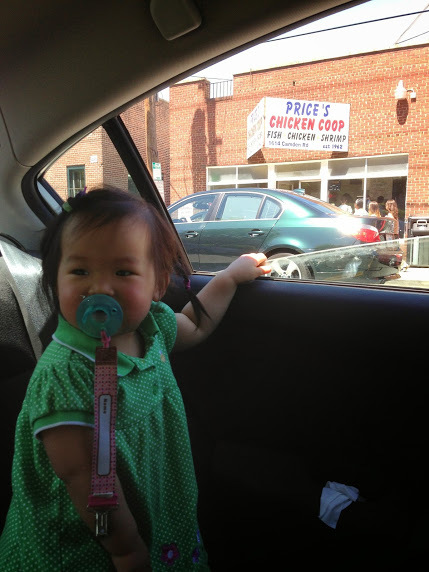 In the morning, Jess took Baby M to Sunflower Bakery to get croissants. Supposedly they were pretty good although I just hung out at home with the dogs instead. Baby M fell asleep in a stroller we borrowed – for almost two hours. Guess she was still super tired from the flight the night before. 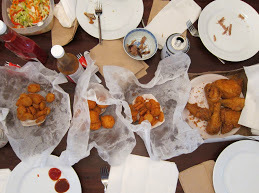 For lunch, we had fried chicken from Price’s Chicken Coop. 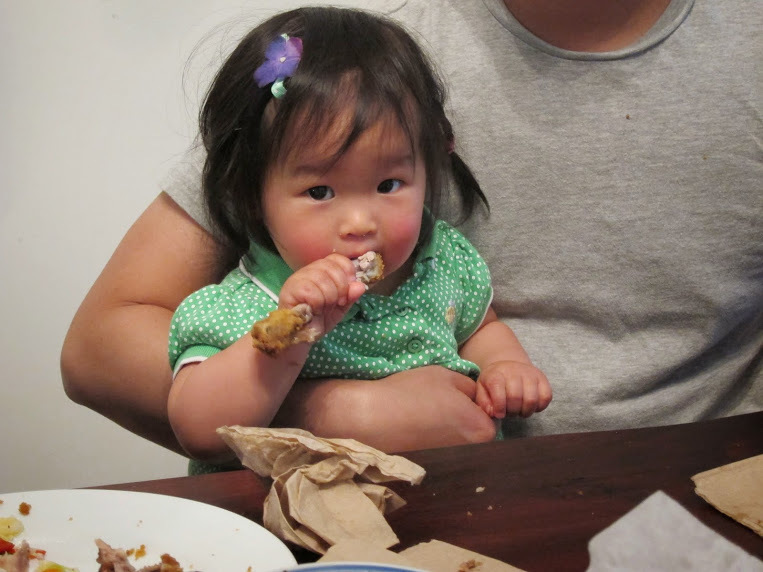 All you need to know about this place is that Jess eats all the skin from the chicken – something I’ve never seen her do with any other fried chicken in my entire life. It is quite possibly the best fried chicken I’ve ever had, although I’ve never met a piece of fried chicken I don’t like so I’m not the best judge. But hey, Jess vouches for it! Price’s is very particular – they make everything day of, and when they run out, they run out (supposedly by 5 PMish on most days). It’s fresh, it’s fun, it’s fried chicken. If you are ever in Charlotte, you must go! The only negative thing I’d say about Price’s are there hush puppies are meh, but you’ll probably be too full to eat them anyways. Sure, I’ll clean the bone! Take it up with my crack team of lawyers! 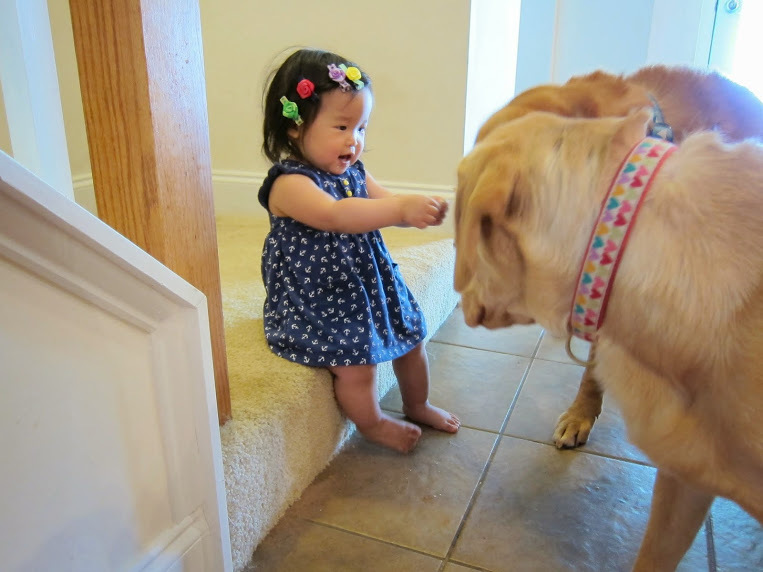 I just found out you had a blog…AND A BABY!!! Been clueless, but I blame Austin. Congrats to you and Jess. And now i’m obsessed with trying to figure out how to fly on miles. It would make you cry to know that I once let 100k miles expire on my united acct from inactivity. Haha yea it’s his fault, he knew for sure! I’m happy to help shoot me an e-mail at either my personal address or asthejoeflies@gmail.com. And yes, I just died a little inside reading that…though I’ve let miles expire too. Let’s just not talk about it. Happy early Mother’s Day!